A book with the news Father Leopoldino Mateus weekly wrote on Balasar between 1933 and 1950 is ready. It will be a volume of about 220 pages (in Portuguese) very useful for anyone who wants to study Balasar in this period and also very useful - we suppose indispensable - for anyone who wants to study Blessed Alexandrina. It is not expected to leave before the summer. These newsletters are already online (http://alexandrinadebalasar.free.fr/noticiarios_conteudo.htm), but the book edition will be a little more complete. One day, it is possible that a new volume comes out with the news from 1950 to 1956, which is more than the two previous decades. 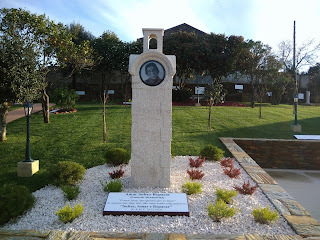 In 1957 the auxiliary bishop of Braga went to Balasar to bless the chapel built in the cemetery and to exhume the body (of Alexandrina), which had been buried in the earth, and to transport it to the new grave. It was October 11; were present in addition to the auxiliary bishop, the Mayor of Póvoa de Varzim, Dr. Manuel Melo Adriano, professor of medicine at the University of Porto, the deputy doctor of health of the region, Dr. Costa Azevedo, and Dr. Manuel Augusto Dias of Azevedo. To the mass of the faithful people was forbidden to enter the cemetery; many of them climbed up to the fence wall to see. Proceeding to the removal of the earth, appeared a niche in cement with about two meters of length by one of width and one of height, open in one side until the bottom, and shown part of the mortuary box. The cement plate, with two iron rings and crossed by iron wires surrounding the structure, was removed and was removed also the earth covering the mortuary box, which appeared in a discreet state of preservation, eroded only in a small part of the cover, in the end, corresponding to the head of the body. You did not feel the slightest odor of corpse putrefaction. I was invited by the auxiliary bishop to enter the mortuary chapel. Once the cover of the mortuary box was removed, the body showed no sign of putrefaction. By the examination I can say that I found myself facing a case of corpse destruction without corruption. With all due respect, I take Jesus Christ as my witness and before him I humbly swear that everything I write does not depend in any way on external suggestion of whoever it is and that it is the pure expression of the truth and that on my part there is not the least preconceived idea. Dr. Azevedo told me that the decomposition of Alexandrina's body without putrefaction is an extraordinary fact that escapes the laws of nature. From Fr. Humberto Pasquale’s autobiography. The chapel where Alexandrina’s mortal remains were buried in 1957. One day Fr. Pinho, SJ, well-known Spiritual Director of Alexandrina, also went to Balasar for a few days of preaching. The parson confided to him that he had a patient with some signs of something supernatural in her life, but he doubted it all. Fr. 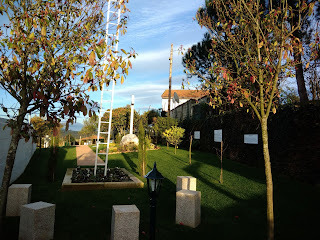 Pinho soon offered to visit her and to do all in his power to discern the signs. He was promptly invited to bring him Holy Communion at the end of Holy Mass. He willingly accepted. - If you are present and acting the wonders of your grace in this soul, should give me a small signal. Arrived, goes up the stairs, sees Alexandrina with her alive look as if waiting for Our Lord. When the ritual prayers were done, it was time to show the Holy Host, saying, "Behold the Lamb of God who takes away the sin of the world! ", and, without knowing how, the Sacred Host disappears from his hands to see it immediately in Alexandrina’s mouth, who is surrounded by the grace of Communion, the greatest and most striking moment of each of her days. Balasarenses (on remarkable people from Balasar, 2014). Balasar Antiga (Ancient Balasar, 2014, 2nd edition in 2017). 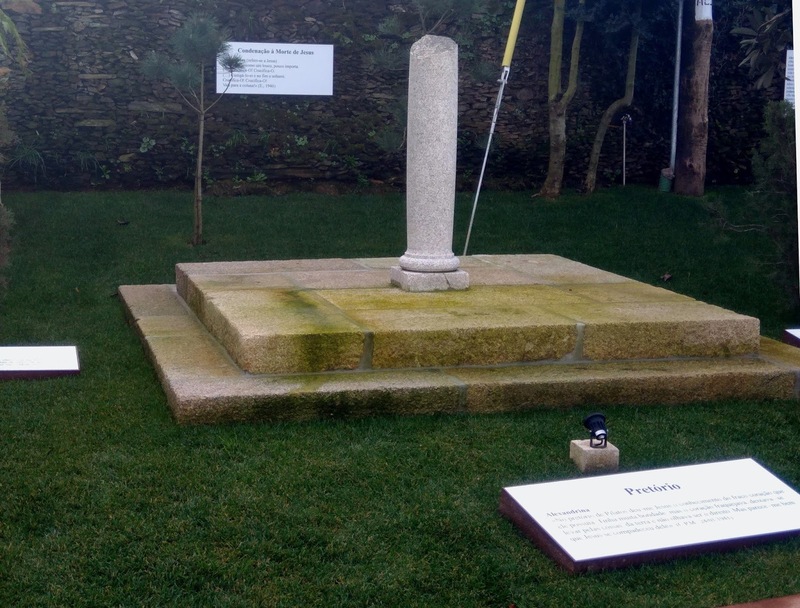 Balasar no Século de D. Benta (Balasar in the Century of D. Benta, 2015). A Santa Cruz de Balasar e o Cisma Liberal (The Holy Cross of Balasar and the Liberal Schism, 2017). Balasar no Caminho da Modernidade (Balasar on the Way to Modernity, 2017). You can find the list of these and other our publications here. Now we are preparing the last volume that will have by title A Balasar da Alexandrina (The Balasar of Alexandrina) and that is expected to be launched next summer. In one of the small plots of land annexed to the House of the Blessed Alexandrina, an original path for meditation on the message of her life and work was inaugurated at the end of 2017. Remarkable thing! It begins with a square column on whose top, on each face, is the portrait of the Beata. In the soil, one reads the motto "To love, to suffer, to repair". 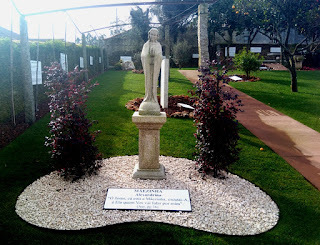 The second step consists of a statue of Our Lady in stone, the Heavenly Mother, who always supported her in suffering. Then comes a stele with the copy of an icon representing Jesus, the Master of the school where Alexandrina learned. Square column that begins the meditation path on the life and work of Blessed Alexandrina. In the last plane, other steps of this route and panels with allusive phrases are pointed out. Now begins the walk of the Passion with the suggestion of the Garden of Gethsemane. Meanwhile, one can read many of the Beata's phrases on the next walls. 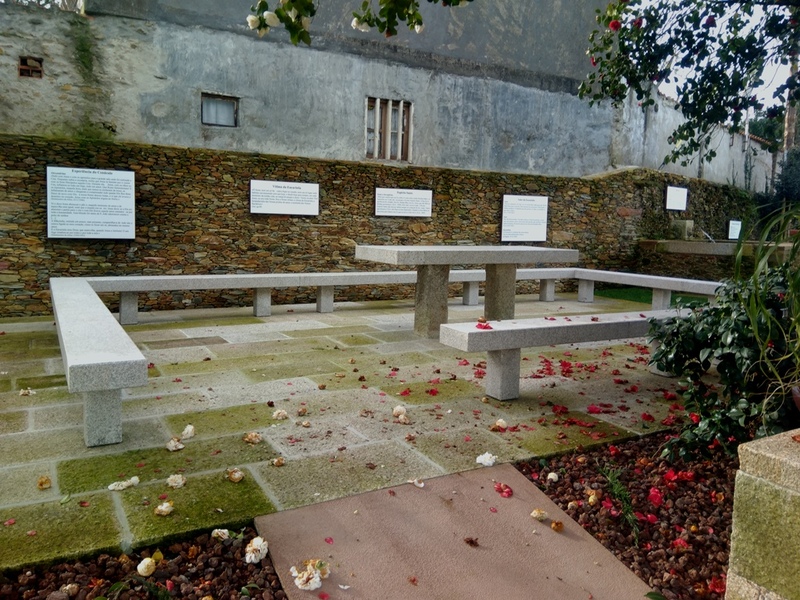 The following moment is a stone square bench, in whose center is a stone table: it suggests the Cenacle and a pause for reflection aided by the transcriptions read on the neighboring wall. There is then a tank to which a spout of water flows; a panel clarifies its meaning with the phrase of the Gospel "I thirst." The column representing the Praetorium and the Flagellation is next seen. Further on, a cross stands on a rounded stone block (quartz) that appears to represent the globe. The walk concludes with a tall white ladder that symbolizes the Resurrection. Everything always accompanied with Alexandrina's quotations. This course is dominated by the brilliant idea of ​​visually entwining the steps of the Passion of Christ with the experiences of Alexandrina. The fundamental of her life and work points to it and it does not make sense that the attention of the people visiting her house is directed to facts more or less accessory, secondary.